The bulk of the paperwork involved in closing a real estate transaction is handled by the title and escrow company, an independent company charged with the task of organizing your change of ownership, or a settlement attorney, depending on the practices of your state. For sale by owner sellers and buyers who are not obliged to do so by their state are also advised to use the services of a real estate attorney to guide them through the process and protect their interests. Knowing the procedures each goes through before a closing takes place helps a seller or buyer understand the complexity of real estate transactions. Once a purchase contract is signed by both parties and a deposit check written, the escrow company charged with processing the details takes over. The buyer performs his contingency tasks such as getting an inspection, and the seller cooperates with the home inspector and bank appraiser when appointments are scheduled. When the contingencies are removed, the buyer informs the seller, lender and title company that the dates have been met. The parties' obligations for paying closing costs are determined by local custom and are agreed upon when the escrow is opened. Buyers and sellers pay the costs of their own attorneys. While the buyer works on getting his mortgage commitment completed, the seller contacts his lender to arrange a mortgage payoff and gives the lender the name of the title agent who will prepare the closing statements. The seller notifies his home insurance company of the impending sale. If the property is a condo or townhome with a homeowner's association, the buyer sets interviews with the seller's homeowners association, if necessary, and the seller orders the association documents for the buyer. Both the seller and the buyer receive a Department of Housing and Urban Development -- HUD -- statement at least 24 hours prior to closing. The statement reveals monies going out and coming in to both the seller and buyer. All financial matters revealed on the HUD statement should be resolved between the parties before meeting at the closing table. Who Is Responsible for the Accuracy of a Closing Statement? Does the Buyer Need to Be Present at a House Closing? 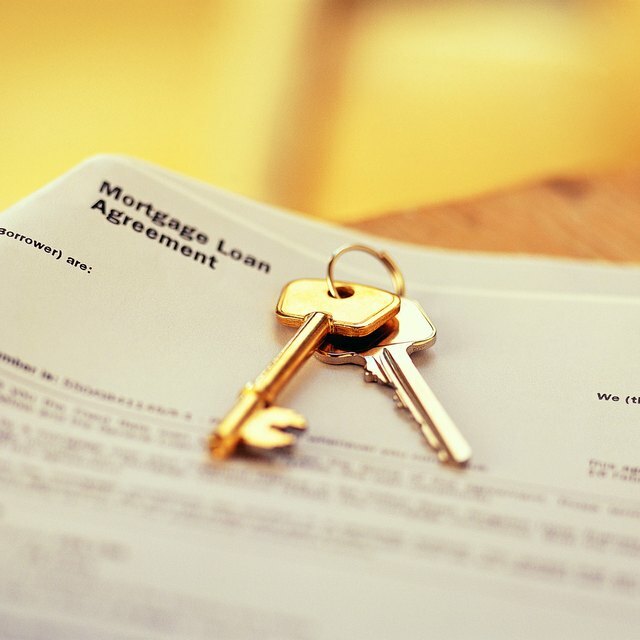 Buyers are informed of the details found in their deed, truth-in-lending disclosure, the lender’s promissory note, the deed of trust and all riders pertaining to the loan. At the closing, attorneys for both sides should be in attendance as well as the title and escrow agents. All parties should examine the deeds to be sure the correct names, spellings and how title is to be held are listed. Once all the paperwork has been signed, the new owner receives the keys and all security instruments. Sellers receive a certificate of satisfaction issued by their lender if a loan was closed. It must be signed, notarized and filed in the land records division of the seller’s county. Upon recording, the seller’s loan is released from the title. Buyer's must also record their new deed with their county. Owners.com: Who Pays Transaction Costs?